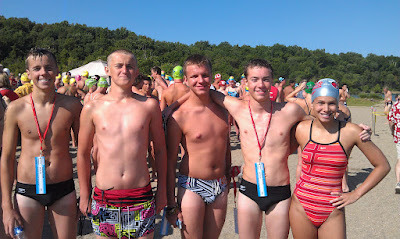 This year we sent 7 swimmers to the Ohio Open Water Championships and had a very successful day at the beach! Our 15-18's raced the 4k, 13-14's swam a 3k and our 10 & unders swam a 1k. Congrats to Grace Weidenhamer and Grace Butcher on their 14th and 16th place finishes!